Discourse Analysis is becoming increasingly "multimodal", concerned primarily with the interplay of language, image and sound. Video Games allow humans to create, live in and have conversations with new multimodal worlds. 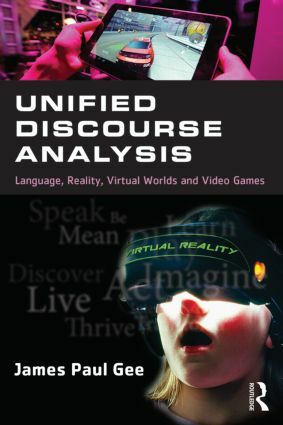 In this ground-breaking new textbook, best-selling author and experienced gamer, James Paul Gee, sets out a new theory and method of discourse analysis which applies to language, the real world, science and video games. Rather than analysing the language of video games, this book uses discourse analysis to study games as communicational forms. Gee argues that language, science, games and everyday life are deeply related and each is a series of conversations. Discourse analysis should not be just about language, but about human interactions with the world, with games, and with each other, interactions that make meaning and sustain lives amid risk and complexity. Written in a highly accessible style and drawing on a wide range of video games from World of Warcraft and Chibi-Robo to Tetris, this engaging textbook is essential reading for students in discourse analysis, new media and digital culture.